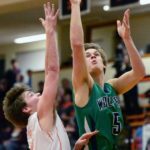 MISSOULA — Jaxen Hashley nearly posted a triple double as Glacier found some life in the second half, pulling away to beat Big Sky in a Western AA contest. 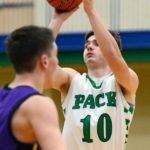 Hashley had 19 points, 18 rebounds and eight assists for the Wolfpack (16-1 overall, 9-0 Western AA), who scored 44 points in the second half. 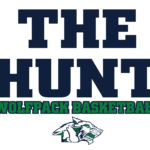 Tadan Gilman added 14 points for the Wolfpack, making four 3-pointers in the game. Nick Wakai and Jordan Casselman each had 14 points to lead Big Sky (2-14, 1-8). 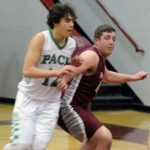 GLACIER — Jack Desmul 2 0-0 4, Tadan Gilman 5 0-1 14, Collin Kazmier 2 2-4 7, Caden Harkins 1 3-5 5, Kody Jarvis 1 0-0 3, Torin Bowden 1 0-0 2, Jeremiah Martin 0 1-2 1, Pat O’Connell 2 0-0 4, Brec Rademacher 1 0-0 3, Jaxen Hashley 8 3-6 19. BIG SKY — Josh Malone 0 2-2 2, Carl Butz 1 0-0 2, Nick Yovetich 3 3-8 9, Nick Wakai 4 2-2 14, Alex Simmons 1 3-3 5, Jordan Casselman 5 0-0 14. 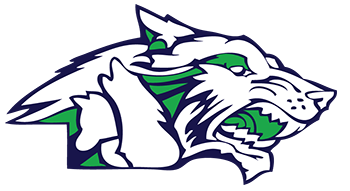 3-point goals—Glacier 7-14 (Gilman 4-6, Kazmier 1-2, Jarvis 1-2, Rademacher 1-2, Harkins 0-1, Hashley 0-1), Big Sky 8-22 (Wakai 4-11, Casselman 4-6, Simmons 0-2, Dan Morin 0-1, Garret Johns 0-1). 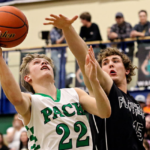 Rebounds—Glacier 29 (Hashley 18), Big Sky 18 (Yovetich 6). 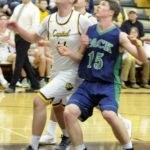 Total fouls—Glacier 17, Big Sky 15. Fouled out—none.